You may have seen some of the unusual things that blend on the Will it Blend? videos. Turns out, you get some pretty interesting results when you put things like footballs, marbles, Glow Sticks, and a new 3G iPhone into a blender (some blend, some not so much). Inspired, I decided to start my own series of experiments -- Will it Grill? I tried steak (yes), watermelon (yes), ice cream (nope), cereal (depends - Kashi yes, but Fruit Loops exploded into a multicolored fire ball), and avocados (yes). Select a ripe yet somewhat firm avocado and slightly chill it. Cut it in half and remove the pit. Brush it with olive oil and sprinkle with salt and pepper. Place it right away on a medium-high grill flesh-side down for about 60 seconds. Grill marks should be present, and the flesh should be lightly caramelized yet intact. The results are much more gratifying than you might imagine: the avocado flesh becomes irresistibly creamy and caramelized and is infused with a wonderfully smoky flavor. You can eat it plain, drizzle with a little lime juice and cayenne pepper, or douse with some Tabasco sauce and chopped cilantro. 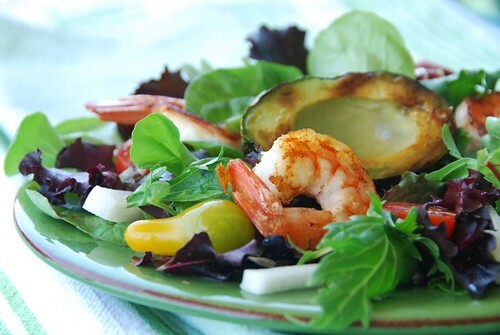 You could also add it to this spicy Grilled Shrimp and Avocado Salad, the third Satisfying Super Salad in my series. What's so super about this salad? It's high in protein, fiber, and monounsaturated fats, which means you'll stay full longer and eat less afterward. With chewy shrimp, silky avocado and crunchy jicama, it's highly textured, which makes it satisfying to eat. And for the really good news: each serving is approximately 300 calories, has 13 grams of protein, 15 grams of fat (from good-for-you monounsaturated olive oil and avocado) and virtually no sodium. Learn more about why avocados are good for you. Tomorrow I am going to try to grill the remote control for the TV (please don't tell Jeff). Preheat a grill outdoors or a grill pan for indoors. Add ingredients from cleaned shrimp through cayenne pepper into either a large Ziploc bag or a plastic container, shaking well. Refrigerate for 20-30 while preparing the rest of the salad. Add mesclun to a large bowl with diced jicama and halved cherry tomatoes. For the dressing, whisk all ingredients in a small bowl and set aside. Remove the shrimp from the marinade; place 4 shrimp per skewer. Grill for 2 minutes, flipping once, or until the meat is opaque and the outside is lightly charred. When grilling, use ripe yet somewhat firm avocados. If they're too squishy, then they won't retain their shape well. 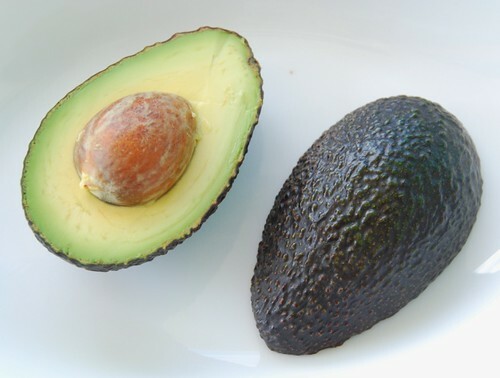 Slice avocados in half and remove the pits. Brush avocado flesh with a little olive oil and season with salt and freshly ground black pepper. (Since avocados oxidize, or turn brown quickly, don't slice them until you are ready to place them on the grill.) Place avocados flesh side down on a hot grill for 1 minute. Grill marks should be present, and the flesh should be slightly caramelized. To grill indoors, preheat a grill pan over medium-high heat. Rub a thin coat of olive oil on the pan so the avocados won't stick. Place avocados flesh side down on the grill for 1 minute. Grill marks should be present, and the flesh should be slightly caramelized. Pour the dressing on the salad (reserving a few spoonfuls to drizzle on top) and toss to coat well. Divide salad among 4 plates, and top each with 4 grilled shrimp and a grilled avocado half. Drizzle with the reserved dressing and serve immediately. I'm sending my grilled avocados to Sig of Live to Eat who has chosen Grill It! for this month's Monthly Mingle, started by Meeta of What's for Lunch, Honey? Grilled avocado sounds really delicious! I must try it! Exploding Fruit Loops? That sounds like fun! Your description of the grilled avocado is making me swoon. I've never had warm avocado... Something I'll have to try soon! Your salad looks terrific! I could just eat it now! I've fried an avocado before but not grilled one. Sound good though, and looks even better. This is a great salad series you have running. :) Perfect for summer. Keep it coming. You know, this sounds good - I'm just not an avocado fan so I wouldn't try this. But I'm loving the way you're trying to grill different things. I do not think I have grilled and avocado before. But yes - the more I think of it the mores I can get used to the creamy grilled flavor of it. With the shrimp a classic! Lovely entry for the MM. Thank you! lol - please tell me if the remote does grill - would love to try it at home. Grilled avocado -- who'd have thought! That's a very nice sounding dressing too. Susan, you may turn me into a "grill everything" person yet! Since you're using cayenne pepper both on your shrimp and in the dressing, I'm thinking a little sprinkled on the avocado might be good too. Gorgeous photography as always. It does grill, ha! It looks great in the picture. I like the sound of creaminess, must try. We have an avocado tree that came out of compost pile-no avocados, though :( I wish we could just grab them from our tree. Grilled avocados sounds great, so does that remote. I'd grill the T.V. as well. Can they also be broiled? Looks yummy! We have also been trying different things on the grill this summer - my current favorite is grilled caesar salad - grilling the Romaine lettuce as well as the tomatos and onions -fantastic! Now I will have to try a Mexican salad with grilled Romaine and avocado! I would have never thought to grill an avocado - but it sure does sound delicious! Especially paired with that salad. Your collection of salads is terrific! I will be visiting more often. And you grilled the avacados. I certainly will try that. I love how that dressing sounds, so good with the grilled avocado, you are amazing girl! Hey, how bout grilling a BlackBerry! sounds good to me! Have never grilled avocado. This looks yummy, Susan. Thanks for the idea. I just printed this out and can't wait to try it (hopefully this weekend!)! I've loved looking at your super salads! Can't wait to see what you post next! Another discovery!...grilled avocadoes!...they look delicious Susan and I can't wait to give it a go myself! Whoa, you're a genius! I love the "will it grill" bit. It reminds me of David Letterman's "Will it Float?" segment too. Nice salad...I'm grilling some avocado soon! mmm how delicious looking! i am eating one of my summer faves - grilled chicken, muenster, sliced peaches and sliced avocado in a whole wheat wrap, as i read this entry! AVOCADO IS AWESOME!! That's the best ever use for Fruit Loops! Your grilled avocado salad looks wonderful - a perfect summer dinner. Grilled avocado sounds awesome! I can imagine that it would be nice and creamy. yummm! How perfect is this...& how very pretty too! Love the colours! Wont talk too much about the avacado...don't get 'em here!! Yum!! I would have thought an avocado was too soft, but I'm glad you're out there on the deck pioneering the grilling techniques for all of us! Good luck with the remote! Great salad. Love the dressing, I'll have to try this one soon. Grilled avocado?! Who'd-a thunk it??? well now that's just brilliant. I never thought to grill an avocado! I will have to try. I remember the watermelon, so now you've come up with something out of the ordinary and delicious again! I've done both watermelon and avocado, but not Fruit Loops! The salad looks great. Avocado anything works for us! And I'm always looking for light and tasty salad dressings! Another great recipe that I can't wait to try! Never dreamnt of grilling Avacados, but now since u mentioned it i will surely try it out. brilliant. i looks slurp-worthy. now can you grill a mars bar? Superb salad Susan! I have to say, never heard of grilling an avocado, but why not? Oh wow grilled avocado!! I must try that. I can't believe you tried grilled ice cream haha. :) If it were to work, it sounds like it would be good but I imagine the heat would have to be insanely hot and the ice cream insanely cold? That sounds wonderful, Susan. I love avocado... I've had it in desserts, sweet drinks, and all the other usual ways-- but grilled will be a first for me and it looks very tasty! OMG,Susan, another way to eat avocados!! I can't wait to give them a try. Seriously , I need a 12 step program for avocado addiction! thats a really vibrant and colorful salad! Grilled avocados sounds like a neat idea! I've never grilled avocado before--I'll have to try that next time I stock up on them. Also, I'm generally not a salad person, but you're salads always catch my eye! I love it! I would never think to grill avocado, but why not, with their high fat content? Great looking salad! culinarywannabe-I was gonna make guacamole with it next. thanks! julie-You'd be surprised. It's really good. terry-So you like your food with a kick too, huh? Thanks. burcu-That'll be exciting when they eventually grow. wendy-Oh, wow! That sounds awesome. I'll have to give that a try. poonam-Thank you. 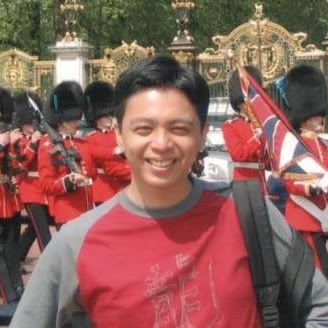 I'll forward to your visits. christie-That's awfully sweet of you, thanks. heather-Oh, got an extra one for me? annie-The dressing is so good with other salads too. linda-Yeah, I use the pan for some things, but you don't get that smoky flavor. kara-Great! Hope you enjoy it then. bee-Ooh, that'll have to go on the list! alexa-They're amazingly versatile, aren't they? lyb-I'd love to give you one! mike-Well, that's especially nice to hear then. Wow! I never would have thought so. This salad looks heavenly. I usually shy away from warm avocado but the caramelization makes this look really delicious. I'm going to try it. I can imagine how creamy that avocado must be! Looks wonderful as always. wow, who knew you could grill avocados!!! i will eat avocado w/anything but pairing it w/shrimp in a salad sounds great! lori lynn-That is so kind of you to say. Someone else mentioned grilled avocado for guacamole. I'll have to try that. I find that if I leave the skin on the avocado - it removes quite easily after grilling - it is easier to hold with tongs and I prefer to use tongs.